Surely these can't be for real. They look like condoms for feet and until such time as my feet become reproductive organs, I won't be wearing these. 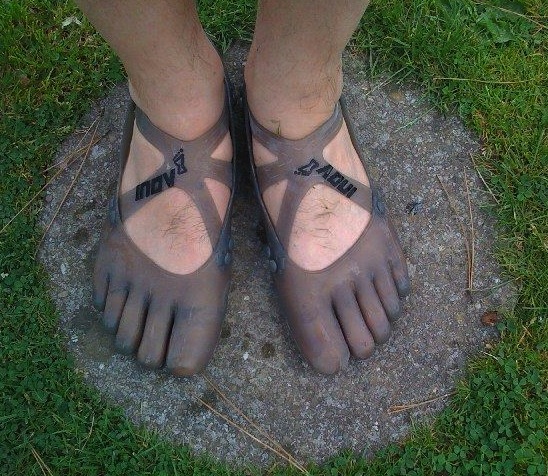 That said, some of the other upcoming Inov-8 products look appealing. The green ones on the far right are apparently called "BARE-GRIP 200" with a 0mm lift throughout. These could be the perfect cross-country/trail shoe for the barefoot runner wanting a little bit of off-road protection.